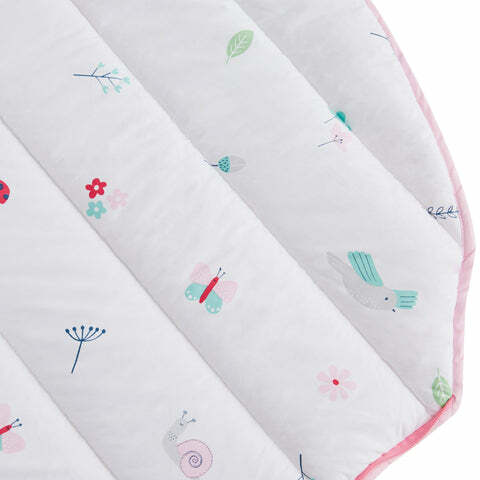 Quilted Sleeping Bag, In the Garden | Great Little Trading Co.
We can't guarantee they'll get any sleep but this gorgeous sleeping bag will make sleepovers as easy as pie. It's made from from cool, natural cotton and long enough for teenagers and grown ups to use too. Integral handles make sure it's easy to roll up, carry or store away. 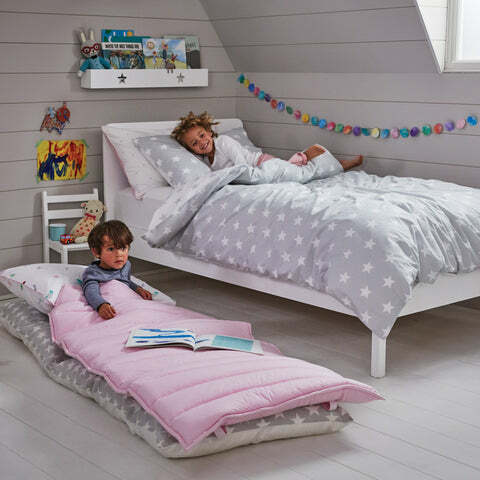 The stitched, quilted cover is lined in our exclusive In The Garden fabric; the cover and lining are made from 100% cotton,with insulating, polyester wadding. Please note this sleeping bag has a tog rating of 4.0 and is therefore only suitable for children of 3 yrs+, due to the risk of overheating. 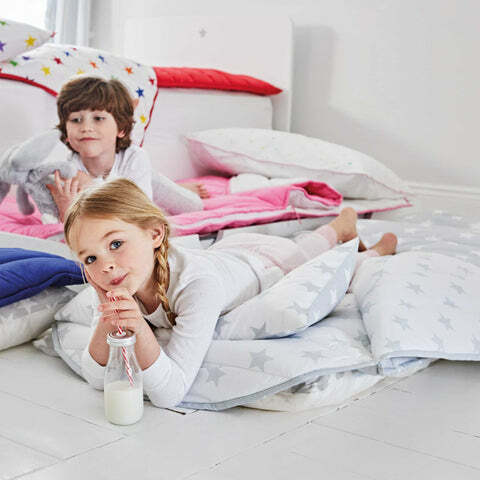 These children's sleeping bags are also available in Grey Star/White Star, Navy/Dinosaur and Red/Rainbow Star. For spare beds have a look at our brilliant Bed In a Bag or our Chair Bed.